You’ve seen this problem before. 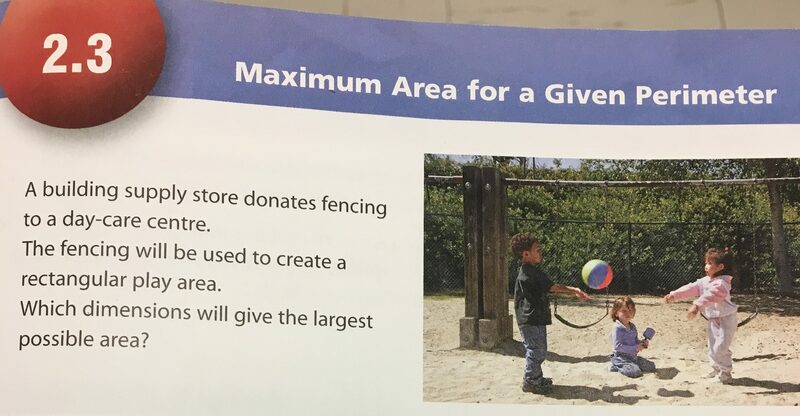 I was discussing this problem with a co-worker a week or so ago and they suggested I change the scenario to a fence around a skate park….”to make it more relatable to students.” I wasn’t sure that particular fix was going to make my students want to solve it more (more on that from Dan here, here, and here). Instead, “I want to make it more curious than that…and get my students to do most of the heavy lifting”. The textbook and many teachers will tell you to break out the geoboards and bands. But I still feel like that is telling them what to explore. I wanted them to ask the question before we do the exploring. How can we make this topic more curious? Show them this and ask for what do you notice? What do you wonder? I circled the wonder: Which shape is the biggest? But I extended it…. I confirmed some of their other wonderings like…yes the number of lines didn’t change. How many did you see? 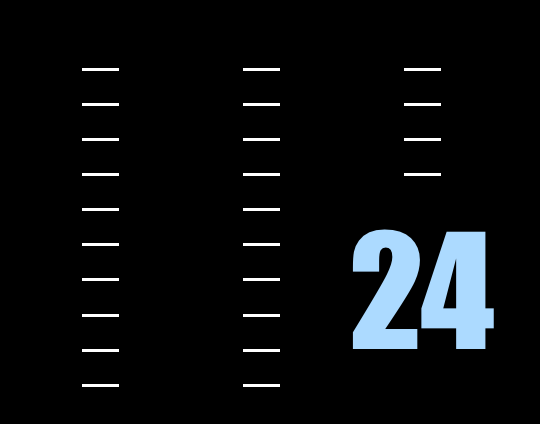 Did you guess 24? 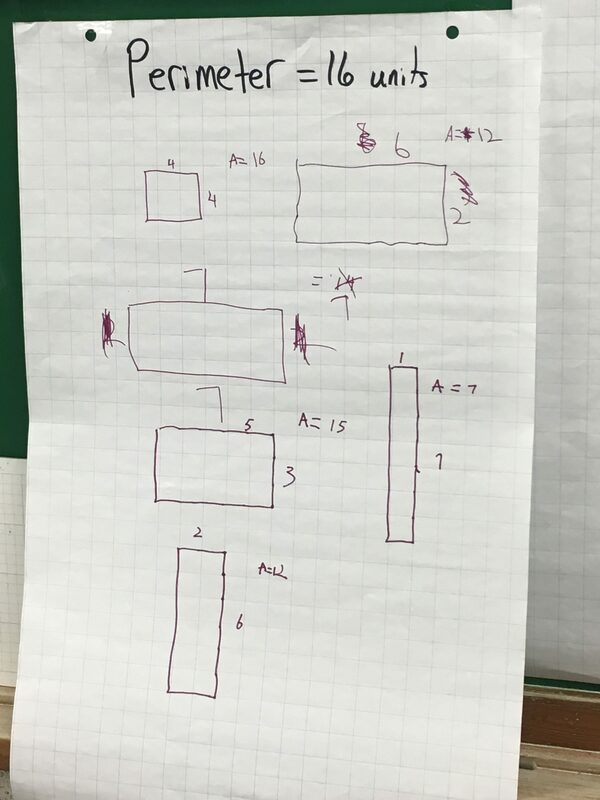 Draw one of those rectangles you saw on your whiteboard. Write the dimensions. Determine the area. The rest of the lesson would flow much like all of those geoboards lesson (get their hands/minds working — the less I talk the more they learn). 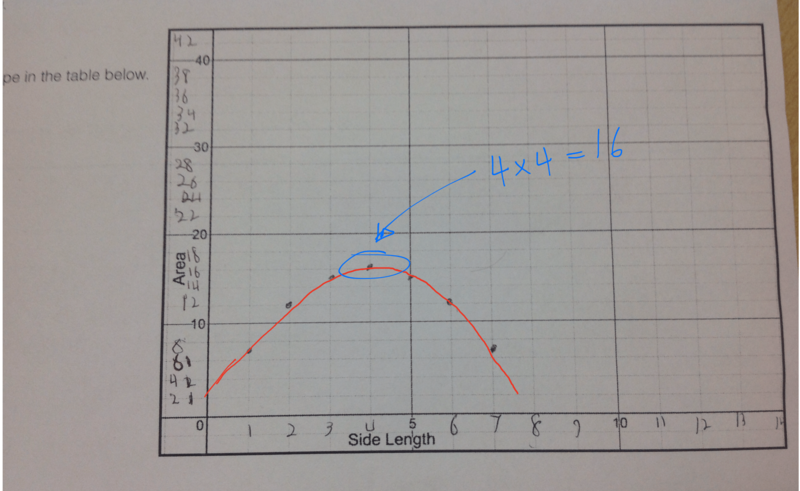 I assigned each pair of students a piece of chart paper with a new perimeter to work with. Draw rectangles with your set perimeter. Record the dimensions and the perimeter. 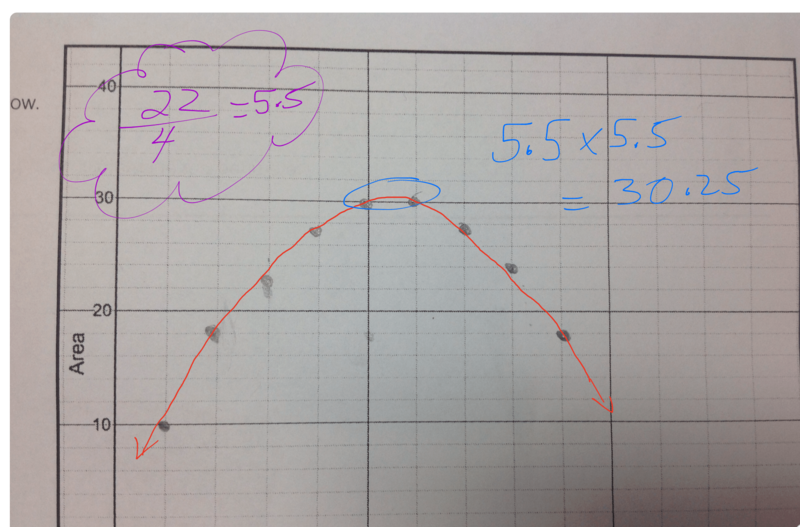 I showed some pics of student graphs on the TV and we concluded together that squares were making the largest area! The groups then turned to doing some practice problems of “Here is a perimeter…what dimensions will produce the max area” and the backwards questions…”If the largest rectangle has an area of ___ what would the perimeter be?” Some groups were given the problem where we only use 3 sides to enclose an area. What now will make the largest area? 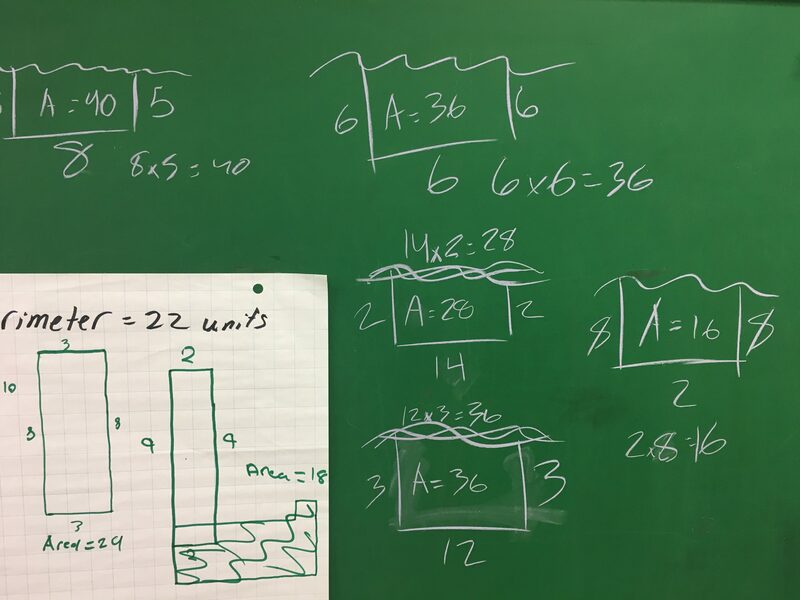 Stripping this problem of context didn’t make them want to investigate less……in this case my students were engaged as much as I’ve seen them lately. 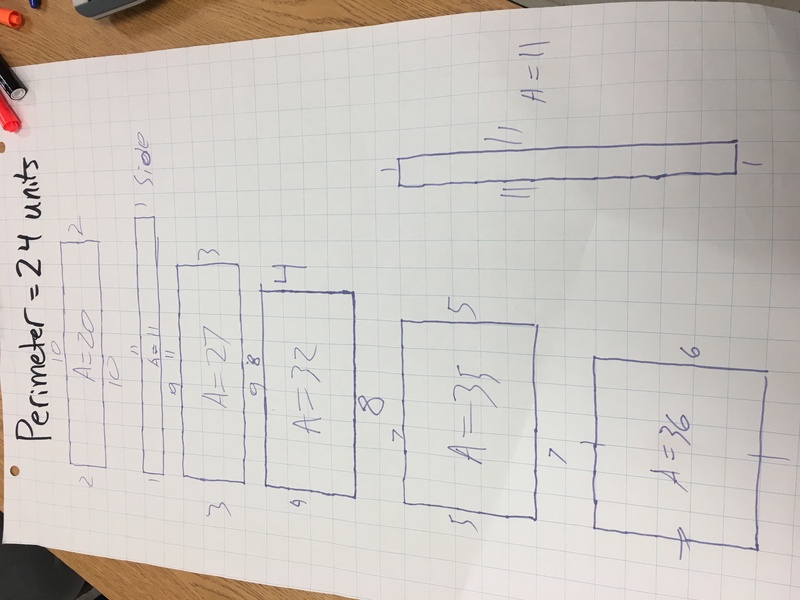 I wasn’t pushing them to memorize that it’s a square that will give the max area….I feel like the big idea here for us was taking our own wonderings and investigating them systematically to discover a relationship. For me that is the bigger take away for these grade 9 students.  Q1: Is 38 + 22 equivalent to 40 + 20? Discuss. Q2: Is 38 x 22 equivalent to 40 x 20? Discuss. Q3. If (the latter is) not equivalent, which then is bigger? Discuss. 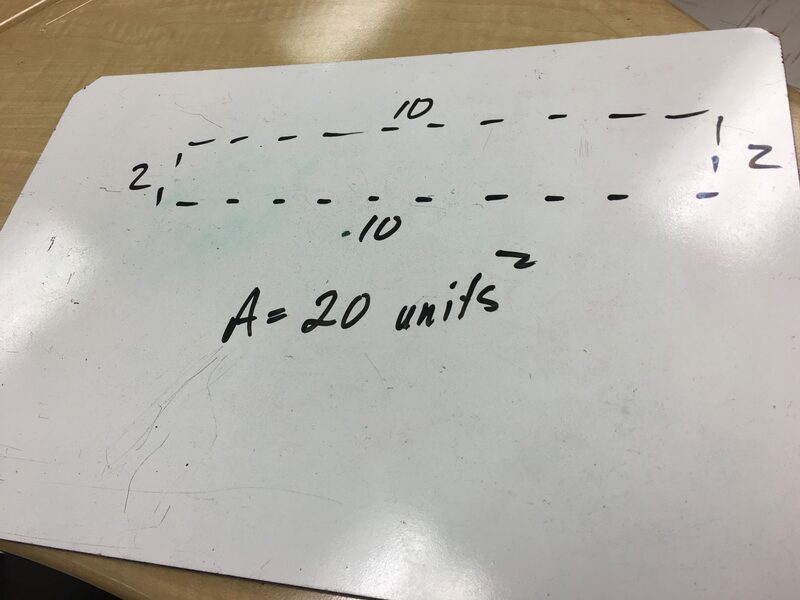 The answer being, the one that is more “squarish”, because it is “more efficient at holding space.” A really fun and powerful connection to number sense!